This free parking is only good on October 19 & 20, 2018. Please see the Map of Events for locations. Parking outside of these lots may require payment or you may run the risk of being ticketed by TAMU. It is our pleasure to welcome your delegation to the 2018 Special Olympics Texas Fall Classic. On behalf of the Games Organizing Committee and SOTX staff, we extend our sincerest thanks to the many volunteers and sponsors who make this event possible. Most importantly, we would like to take this opportunity to thank each of you. Without your passion, commitment and dedication to the mission of Special Olympics Texas and our athletes, we would not be here celebrating the best that sport has to offer. It is important every participant take the time to review this entire guide before you leave for the 2018 Fall Classic in Bryan/College Station. If you have any questions or problems, please immediately contact your area office or the Support Services Office. Your contact at the Support Services Office is Sarah Haines, Senior Director of Connectivity (shaines@sotx.org, or 512.835.9873), or Molly Kuchar (mkuchar@sotx.org, or 512.491.2940). Do not wait until registration onsite. It is expected that all Heads of Delegation share this information with their delegation. Hard copies of this guide will not be available onsite. It is encouraged you print this out and bring with you to the games. We look forward to seeing you at the 2018 Fall Classic. For continued updates about Fall Classic and Special Olympics Texas, follow us on online or your phone. Just text “fallclassic” to 888777 for news and alerts. Every delegation volunteer must go through the Class A Volunteer registration process before arriving at Games. That means every Head of Delegation, coach, chaperone, coaching staff member, bus driver, and Unified Sports partner must have a current signed Class A Form on file in the chapter office, and must have a completed General Orientation and Protective Behaviors. Every competing Unified Sports partner must also have a current, signed Unified Sports Partner Form on file in the chapter office. Each delegation must have a Head Coach, certified in that sport by SOTX, in order to attend Games in that sport. Team sports (example:softball) must have a certified coach per team. Printed copy of the Fall Classic Guide. Make sure the participants have their personal items clearly marked. Please be aware that athletes must wear the appropriate footwear and uniform/clothing as allowed by the National Governing Body, Special Olympics Sports Rules and the Special Olympics Texas Information Guide. This will enable your athletes to compete to the fullest extent possible. Competitors who violate this rule will be disqualified. We continue to share communication with you regarding the dangers of 15-passenger vans and Special Olympics, Inc.’s (SOI) policy regarding the use of 15-passenger vans to transport Special Olympics athletes, coaches and volunteers to and from Special Olympics events. Special Olympics Texas has developed the policy statement below in response to SOI’s directive. 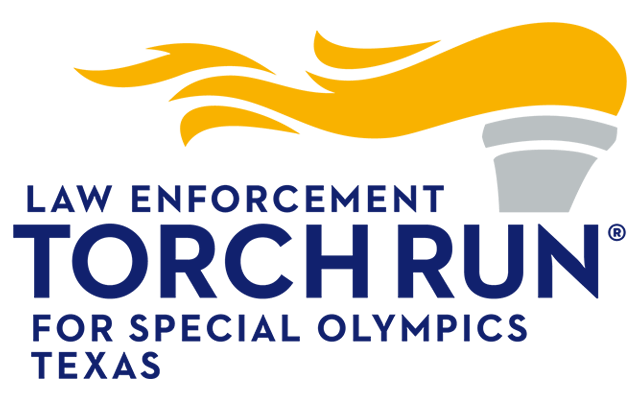 Special Olympics Texas (SOTX) volunteers/delegations that use SOTX’s name to solicit funds or use SOTX’s federal tax identification number are prohibited from using 15-passenger vans to transport athletes or other individuals to and from SOTX events. SOTX strongly discourages volunteers/delegations that do not use SOTX’s name to solicit funds or do not use SOTX’s federal tax identification number (3rd Party organizations) from using 15-passenger vans as transportation to or from SOTX activities/events. 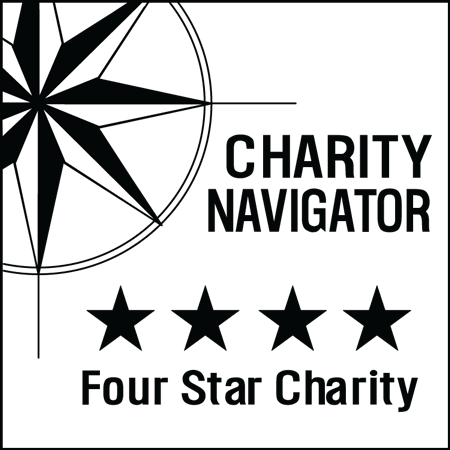 Anyone operating a 15-passenger van, owned by the 3rd Party organization for the purpose of transporting SOTX athletes or other persons to or from SOTX activities, is acting as the employee or volunteer of the organization and not on behalf of SOTX. The driver’s operation of the 15-passenger van will be considered to be in the course and scope of the driver’s employment or volunteer responsibilities for the 3rd Party organization, and not for or on behalf of SOTX. 3rd Party organizations that operate 15-passenger vans should comply with the applicable safety standards promulgated by the National Highway Traffic Safety Administration (NHTSA). SOTX must have on file an executed 15-Passenger Van Transportation Certification Form from the 3rd Party organization. All approved 3rd Party organizations must display a SOTX tag/identification on the vehicle’s rear-view window, when attending a SOTX training and/or event. Any volunteer/delegation which does not have a 15-Passenger Van Transportation Certification Form on file with SOTX, and who uses a 15-passenger van as transportation to an official SOTX activity (training, competition, special event, etc. ), will receive a warning/citation for the first infraction. A second infraction will result in the volunteer and/or delegation of athletes not being allowed to participate in the SOTX activity/competition. This restriction includes activities/events/trainings/competitions at all levels of the organization: local, area and state/chapter. Coaches who violate this policy will be subject to sanctions (Page E-4 of the SOTX Information Guide). Registration will be held on Thursday, October 18, 2018 from 3:00 p.m. to 6:30 p.m., and will resume immediately after the coaches meeting for one hour. We encourage delegations to register between 3:00 p.m. and 6:30 p.m. Registration, the general coaches meeting, and sports-specific breakout meetings will take place at the Brazos Center. Late registrations are discouraged. Any teams wishing to register on Friday can do so only with prior approval from the Director of Competition and Games. Teams should check into their hotels prior to registration. Each Head of Delegation must complete a delegation contact form with cell phone numbers for the HOD and each head coach. This information is very important in the event of an emergency. The key to a successful event is correct information : name, gender, age, event code and entry scores. Please review immediately the Entries Processing Schedule listed on the website for important deadlines regarding corrections. Any athlete whose entry score exceeded or did not meet the minimum qualifying time for an event has been scratched from the event. Qualifying times and scores are listed in the Fall Classic Section of the SIG. Registration stations will be set up for each region (North/West, South/Central and East). The Head of Delegation will pick up their delegation packet at their regional table. The HOD will submit their delegation contact form and Aquatics Liability Form at this station. All teams must first register at their regional (North/West, South/Central and East) registration station. Payments must be made at this station. Wristbands of scratched athletes will be handed in at this station. Refunds will not be processed without wristbands. The chapter headquarters will issue all refunds. Any issues with information can be brought to this table. Take the time to check the delegation report within your registration packet against your records. Only those athletes and coaches who appear on the report are registered. Athletes will only be allowed to compete in those events that appear next to their names. There are NO "walk ups" during the weekend. Only those individuals whose names appear on the computer printout will be allowed to participate in the events. You CAN delete athletes and request a refund by submitting unused wristbands to finance. You CAN substitute Unified partner alternates for Unified partners (but this must be done at registration). You may not make any Unified partner substitutions after registration. You CANNOT have athletes stay with the official delegation unless they are registered to compete in the 2018 Fall Classic. Athletes and support personnel (officially registered with the delegation) will be issued ID wristbands (credentials). Athlete wristbands (credentials) will include the athlete’s name and team. They will also include specific event information – event, heat number and lane (if applicable). These must be worn continuously throughout the Games. In the event that replacement credentials are needed during the Games, these may be obtained from an SOTX staff member at any of the venues. Wristbands, which contain important and useful event information, will be provided for each athlete. Please review the following example and your contact at the Support Services Office is Sarah Haines, Senior Director of Connectivity (shaines@sotx.org, or 512.835.9873), or Molly Kuchar (mkuchar@sotx.org, or 512.491.2940) if you have any questions. The letter indicates gender (M = male or F= female). The first number gives the athlete’s age group. The last number provides the athlete’s heat within this age group. For example, Heat # M.30-99.01 indicates a male athlete in the 30-99 year old age group competing in the first heat. A general coaches meeting for all sports will be held on Thursday, October 18, 2018 from 7:00 p.m. to 8:00 p.m. at the Brazos Center. It is mandatory that the Heads of Delegation or a representative from each delegation attend. Sport-specific breakout meetings will follow between 8:00 p.m. and 9:00 p.m. All head coaches need to attend their sport-specific meeting for the most up-to-date competition information. Registration will be closed during the mandatory coaches meeting. Please do not bring athletes to these meetings. The Head of Delegation is the individual directly responsible for the coordination and management of the athletes and coaches from their delegation. He/she is primarily responsible for ensuring that athletes and other coaches are at the competition sites and events, properly equipped and trained for that event. Any problems related to a given athlete during the sports activities will be addressed to the Head of Delegation or other coaches under his/her responsibility. A Head of Delegation can only compete as a Unified partner within his/her own delegation. Provide for the general welfare, safety, health and well-being of each Special Olympics athlete in their charge. under his/her direct supervision. Be knowledgeable about all existing Special Olympics Texas, Special Olympics, Inc.., National and International Governing Body competition rules and regulations applicable to their sport and prepare their athletes for competition in accordance with those rules. Attend all coaches’ meetings as scheduled. Ensure the athletes are properly hydrated and prepared for the weather. Reminder: A certified head coach must be on-site at each sports venue. Furthermore, each softball team must have its own certified head coach on the bench. The head coach of a Unified team must be dually certified in the sport and in Unified Sports. Coaches will be asked to respect the rules regarding access to field of play that govern each sport at the 2018 Fall Classic. Security personnel have been instructed to assist competition directors in strictly enforcing this policy, so please cooperate with their instructions. Athletes using wheelchairs and other athletes with special accessibility considerations and their coaches will be given special consideration only during scheduled competition. All delegation support personnel and athletes must wear their credentials at ALL TIMES during the Games. These credentials will be required for admittance to competitions, special events and other Games activities. Athletes may enter and compete in only one sport. Each sport has specific limits on the type and number of events an athlete may enter. Specific time schedules for each competition will be posted on our website by September 30 as well as given out at the coaches’ meetings. This will enable us to structure the time schedules to the entries actually received at the chapter headquarters. The sports schedules contained in this guide provide the projected start and finish time for each sport. All delegations should plan on being available for competition at these times – no exceptions. Protests shall not be accepted or considered if they are based solely on a decision involving the accuracy or judgment on the part of an official. Protest forms must be completed and submitted to the venue sport director within 30 minutes of the event in question. Forms will be available on-site. A certified head coach must be on-site at each sports venue. Unified Sports softball teams must have a non-playing, dual-certified bench coach for all games. Softball Individual Skills: Teams must have a softball certified head coach who is not involved with coaching a softball team. National Governing Bodies (NGB): Aquatics – FINA; Bocce – no National Governing Body; Golf – United States Golf Association; Softball – Amateur Softball Association. Registered Service Dogs are the only animals allowed at the competition and special events venues. It is required that every athlete listed on the roster must play during regulation game time. Not following the participation rule will result in a forfeit. The first time it occurs during the tournament will result in a forfeit of that game for the offending team. If that team violates this rule a second time, they will be removed from the tournament. Coaches may indicate on their roster, prior to the start of the game, any players who will not play due to injury or behavior problems. Volunteers are once again providing technology support for the Fall Classic. The cornerstone of the support is the GMS7 software. The system stores information about individual athletes and delegations, events that the athletes are participating in and their results. As events take place, scoring information is entered into the system. Please see the special notes about parking at the Aquatics venue. The Official Special Olympics Sports Rules and SOTX modifications found in the Sports Information Guide (SIG) shall govern all aquatics competition. FINA swimming rules shall apply except when they are in conflict with the Official Special Olympics Sports Rules and SOTX modifications. Athletes have the option of using starting blocks, deck, or they may start in the water for the beginning of each race. The Sports Management Team has approved the utilization of maximum qualifying times of 3:30.00 (3 minutes, 30 seconds) for all 100 meter events and 7:00.00 (7 minutes) for all 200 meter events. An athlete may enter no more than three individual events, one relay and a diving event. Athletes must compete in regular events or individual skills events. No crossover is allowed. The competition will be in a 25-meter pool. Awards will be presented on-site as heats are completed in the competition pool. The awards timeline for the developmental pool will be communicated at the coaches meeting. Reminder: Teams will not have the option to set up camp on the pool deck. Teams will need to be in the stands or in the upstairs hallway. Level 1, developmental (skills) events will take place on Friday morning, October 19, in the instructional pool at the Natatorium. The depth of this pool is 4 feet. Due to safety risks, athletes must start in the water for the Individual Skills events. The 15-meter unassisted swim event will be held in the instructional pool only on Friday morning. The 25-meter flotation event will be held in the regulation pool but is part of the level one, developmental (skills) events. FINA rules do not allow an athlete to wear a wetsuit during competition. All competitors must wear appropriate swimming/diving attire. Females must wear one-piece suits. Bring your own towels for use at the pool. Male, female and family (for co-ed and/or special needs situations that arise) changing areas will be available. A 20% rabbit rule (please see SIG for more information) will be in effect for all events. Athletes who are disqualified in the preliminaries will not compete in the finals. These athletes will receive a participation ribbon after prelims. Delegations can start checking in for classifications at 1:00 p.m. and must be checked in by 4:00 p.m. in order to classify and compete in Fall Classic. Bocce Skills Assessment Scores are not required on entry forms. At Fall Classic, bocce athletes may enter two events, provided that one event is Singles and the other event is a team event (Doubles, Unified Sports™ Doubles, Team or Unified Team). Bocce balls used in competition may range in size from 107mm to 110mm as allowed by Official Special Olympics Bocce Sports Rules. The playing surface will be grass. Sideboards and backboards will be used on all courts. Bocce ramps will not be provided. Delegations must provide their own ramps. Half-court doubles and half-court Unified doubles play to 8 points. The 10-foot throwing line will be used for all throws. All bocce athletes will be classified on Thursday afternoon, and heated/divisioned based on their classification scores. All bocce events, EXCEPT REGULAR SINGLES, will compete on Friday. All bocce singles athletes will compete on Saturday. Preliminaries will be held for all events on Friday and finals will be held on Saturday. Awards will be presented after competition is completed on Saturday. Six scorecards must be submitted with entries for golfers competing in levels 2, 3, 4 and 5. This rule will be enforced. Cards can be photocopied, but course slope and rating must be included. Scorecards must be submitted in the format in which your athletes/partners will compete. Athletes and partners are expected to dress in appropriate golf attire – collared shirt and shorts or slacks. Jeans, basketball shorts and high top tennis shoes are not permitted. No personal golf carts are allowed on the course and there are no golf carts available to rent for families/spectators. Teams are required to provide caddies for their Level 4 & Level 5 athletes who are competing at area, regional and chapter competitions. The caddies will need to be registered as Class A Volunteers with Special Olympics Texas and included on the Athlete Entry Form with the role code Caddie. Per USGA rules, the golf committee at a tournament can determine a maximum time allowed to complete a round of golf. The expectation is that 9 holes be played in less than 2.5 hours and 18 holes be played in less than 5 hours. Volunteer marshals will be enforcing speed of play. Athletes and partners will be warned to speed up play before ultimately incurring any penalty strokes. The golf committee can change the level of play or remove a team from the course. In levels 2 and 3, a golf pair may not switch partners after the preliminary round. Doing so will result in an immediate disqualification. Officials will be available at the course to assist with rule questions and clarifications. Please advise competitors to check the rules if they are in a situation where they are unsure. A GPS (with NO slope rating) is allowed. The Classification Team will make every attempt to have the softball divisions and schedules available at the sports-specific coaches meeting, but division brackets will be posted online or via email to head coaches and Heads of Delegations by 12:00 a.m. at the latest if they are not available at the coaches meeting. The Softball Skills competition will be scheduled if participation at time of the entries deadline (SEPT 9) meets the Chapter minumum participation rule. Please arrive at the softball field 30 minutes before your scheduled game time. Chapter Classifications: If a team does not show up at classifications, without having adhered to notification procedures by reporting and having their absence approved through proper channels, the team will be scratched from the tournament. Any player that misses classification will not be allowed to compete in his/her team’s first tournament game. No exceptions. Teams need to wear uniforms to classifications. All uniforms must be numbered on the back. The Participation Rule will be in effect. All players MUST play in each tournament game. Competition will be a tournament format in accordance with ASA rules. All batters will start each at bat with a count of one ball and one strike. This ASA rule is designed to speed up play and provide more opportunities for participation. Tiebreakers will be in accordance with ASA rules: a) head to head competition; b) run differential; c) fewest runs allowed; d) coin toss. In the case of forfeitures within divisions, tiebreakers will be figured on common opponents within the division not involved in the forfeiture games. Games will be 55 minutes. Every effort will be made to play a round-robin division format to ensure all teams more opportunity for games. Awards will be presented as teams complete competition and know the final standings within their division. A safety home plate will be used at all area and chapter competitions. Information on the safety home plate can be found in the Official Special Olympics Softball Sports Rules. The athlete/partner home run differential rule will be in effect for Unified Sports™ competition. Coach Pitch will utilize the 12” Easton Incrediball® (lower impact safety softball) for competition. Stop by Wellness Park and get your Healthy Athletes screenings for free! Wellness Park's objective is to help improve health care for our athletes. Tentatively, we are offering free screenings for Healthy Hearing, Health Promotions, Opening Eyes, Special Smiles, Medfest and Strong Minds. Our trained professionals are all ready to screen your athletes and provide them with helpful information to keep them healthy and competing at their very best. Wellness Park will be open on Friday, October 19 from 10:00 a.m. to 4:00 p.m. and Saturday, October 20 from 10:00 a.m. to 3:00 p.m. Location for the screenings will be at the Brazos Center. Athlete Village promises to be an area of fun for all ages of athletes. There will be a variety of games, local entertainers, concessions, exhibits and displays to see on Friday, October 19 from 10:00 a.m. to 4:00 p.m. and Saturday, October 20 from 10:00 a.m. to 3:00 p.m. Athlete Village is located at the Brazos Center. We encourage all teams to visit Athlete Village and enjoy the festivities. Special guest appearances in the area include: pageant titleholders, local entertainers and businesses. Featured attractions consist of athlete massages, merchandise sales, family reception area, SOTX outreach information services, arts and crafts area, games and much more. A complete listing of activities and times will be available at registration. Friday, October 19: Opening Ceremony and Celebration Dance will be held at 7:00 p.m. This venue is to be determined, so be prepared for both cool and warm weather. Opening Ceremony: Each team will be recognized by the announcers during the Parade of Athletes. The program will feature the Athlete Oath, the Volunteer Oath, the Officials Oath, the entrance of the Flame of Hope and the Cauldron Lighting Ceremony. We look forward to seeing everyone there! Celebration Dance: will be held immediately following Opening Ceremonies. The dance will last until 9:00 p.m. A deejay will provide the entertainment; athlete requests will be accepted to help create a memorable evening. Please stay and enjoy the fun. We encourage delegations to start arriving as early as 6:15 p.m. The parade will begin promptly at 7:00 p.m. As in the past, each team is asked to bring a team banner with the team’s name and city clearly written on it. The lineup is first-come, first served. Further directions will be explained during the coaches meeting. Only registered coaches and athletes may participate in the parade. Meals will be provided for Athletes and credentialed Coach and HOD personnel. Delegations will stay in hotels or residences. A preferred hotel list is posted on the SOTX website at www.sotx.org or available through your area office. if is recommended that you book rooms immediately if you have not already done so. It is also highly recommend that you work directly with the hotel than using a third party. We also welcome CDs of high-resolution (300 dpi) images of your “best of” shots from Fall Classic. By signing the Athlete Enrollment/Medical Release Form, every athlete granted permission to have his/her likeness videotaped or photographed. Additionally, athletes can be quoted and are encouraged to talk to members of the media (with coach, staff or parental supervision). The Command Center phone will be staffed October 18-20. If any medical emergencies arise, please call the Command Center, so the proper officials can be notified. To reach the Command Center, call 512.461.0481. Possession of any alcoholic beverages. Possession or use of any narcotic stimulant, depressant or hallucinogenic drugs without a doctor’s permission. Possession or use of candles, lanterns, firearms, gasoline or other volatile solutions, explosives, fireworks or other dangerous materials. Possession or use of any electrical heating, cooking or food preparation appliances. Activation of a fire alarm could result in a $250 fine per activation. Please do not tamper with any fire alarm device or fire protection system; significant fees may be assessed. Security volunteers are there to help you, your athletes and other participants enjoy the Games safely. Security personnel have direct radio/phone communications through the Security Control Center with the Games Director and other officials, EMS and police. If you have an emergency or other problem and can’t find the help you need, look for a security member. Security personnel will be wearing orange t-shirts or law enforcement uniforms. Please follow their instructions. SOTX and the host hotels will not be responsible for personal belongings lost or stolen while staying at the hotels. Lost athletes should be escorted to the security volunteer or medical area at each sports venue. The Command Center should be notified immediately. To reach the Command Center, call 512.461.0481. A lost and found center will be located in the competition headquarters at each venue. Please turn in any found items to this location. We ask that all athletes and coaches be in by 11:00 p.m. Coaches must not leave athletes without appropriate adult supervision. Coaches are responsible for the conduct and supervision of their athletes at all times. All coaches are expected to devote 100% of their time to supervising their athletes. Any athlete found unsupervised or involved in disruptive behavior may be disqualified from the Fall Classic. Also, the coach of that team may be suspended from all SOTX events for a period of up to one year. Furthermore, the administrators of the sponsoring agency or school will be notified in writing of the inappropriate conduct of the coaches and athletes. Supervision of the athletes is the key to a safe and enjoyable experience. First aid stations will be in operation at all competition and special event sites. Treatment provided at these stations will consist of American Red Cross first aid procedures. NO MEDICATIONS WILL BE DISPENSED. Any athlete or coach who requires medical attention should be taken immediately to one of the first aid stations. From this point, the medical support staff will administer appropriate first aid and, if necessary, make arrangements for emergency examination, treatment and/or hospitalization. An EMS unit will be on call during the Games. Do not take an athlete or coach directly to a hospital or seek medical treatment before going to one of the above-mentioned first aid stations. Please keep our medical support team informed of any problems since they are most fully prepared to handle them. Please keep your medical form copies with you at all times. Several medical professionals will provide medical support for the Fall Classic. There will also be an ambulance used during competition for emergencies. All emergencies must first go through the on-site medical team. If an athlete must be transported by ambulance, the coach or parents of the athlete must accompany the athlete. Medications – Each athlete or delegation member should have a complete supply of medications and a schedule indicating exact dosage. Should a delegation member require treatment, the medical team must have accurate information so that proper treatment may be provided. Personal Health Items – All participants should use sunscreen. Individuals with blonde or red hair or sensitive skin should use a sunscreen with a high SPF factor. Everyone burns regardless of skin pigmentation. Diet – A balanced diet is essential to the athletes’ performance at the Games. The diet should contain extra carbohydrates (in the form of starches), and fresh fruit and vegetables whenever possible. Athletes and members of the delegations should be discouraged from eating greasy, fried or fatty foods. Athletes should not drink soft drinks for breakfast or lunch, and should limit their intake at dinner. Clothing – Athletes should have light colored, loose fitting clothing to wear at the Games. It is also important for each athlete to bring a billed cap or visor. These items will help the athletes to stay cool. Liquids – Each athlete should drink extra fluids with meals and at regular intervals at the sports venues. Athletes and members of the delegations should always drink plenty of water. Medic Alert Tags – Athletes who have diabetes, epilepsy (seizures) or allergic reactions to medication should wear their Medic Alert tags at all times. Muscle Cramps – These cramps usually involve the arm, leg or abdominal muscles. Generally, the cramps begin within two hours of vigorous exercise, and often occur during the “cool down” period. An athlete experiencing muscle cramps should be taken to the nearest first aid station for care. Treatment for muscle cramps consists of fluid replacement with water or a weak salt solution. An athlete who is treated for muscle cramps should have extra rest and plenty of fluids. Epileptic Seizures or Convulsions – Most epileptic seizures last two to four minutes. First aid for seizures or convulsions consists of gently protecting the victim from injuring himself and gently turning the victim’s head to the side so that saliva or vomit drains from the victim’s mouth. It is important not to force anything into the victim’s mouth, not leave the victim alone, and to call the nearest first aid station or hotel security. Sunburn – Serious sunburns can result from constant exposure to the sun. Protect the athletes and yourself. Even on cloudy days, burning rays can cause damage to a person’s skin. Use a sunscreen with SPF 15. The higher the SPF, the greater the block it provides. Heat Exhaustion – This condition is a more serious heat-related illness than muscle cramps, and is characterized by physical weakness, light-headedness, confusion, nausea and cramping. Also, body temperature is usually normal or slightly elevated. Any athlete who has been exposed to heat and “just doesn’t feel well” may be suffering from heat exhaustion. Treatment of heat exhaustion consists of moving the athlete to a cool environment, allowing the athlete extra rest, and providing fluid replacement. Heat Stroke – Heat stroke is caused by the body’s inability to dispense of heat properly under existing environmental conditions. This condition causes an athlete’s body temperature to rise quickly to intolerable levels (106˚ F). Symptoms of heat stroke are similar to those of heat exhaustion and may include delirium, coma and seizure activity. A victim of heat stroke ceases to sweat and develops “goose flesh.” Treatment for heat stroke consists of rapid cooling in an ice bath and immediate hospitalization. Illnesses– The conditions which make a person more susceptible to heat illness include: diabetes, heart disease, high blood pressure and thyroid gland diseases. Medications – Medications which make a person less tolerant of the heat include tranquilizers, antidepressants, diuretics, sedatives and thyroid drugs. Age – Young children and the elderly are more prone to heat illnesses than teens and middle-aged people. We cannot over-emphasize enough the importance of consumption of water during the Games. Water – not a soft drink – is an essential component of every practice session and meet. In the past, there have been cases of heat exhaustion which were directly related to insufficient liquids. Coaches are encouraged to bring thermos jugs or canteens so that everyone has water at all times. There will be water coolers available to refill your containers. Please take advantage of this service. Due to variable high humidity and temperatures, consumption of water before and during Games is the only way to maintain good health. Disciplinary measures will be taken against coaches who jeopardize the health and safety of their athletes by depriving them of water during Games. A number of teams participate in recreational swimming at motel pools during the Games. All Special Olympics aquatics training, competition and recreational sessions shall be conducted in accordance with basic safety practices as specified in the SOTX Information Guide. This policy specifies that in all swimming activities, there must be a certified lifeguard on duty while athletes are in the water. This policy is in effect any time that an athlete is in a pool for training and competition, as well as for recreational aquatics activities (time spent after competition back at the hotel pool). Each delegation must review, sign and turn in the Recreational Aquatics Form prior to or at registration. SOTX and SOI are interested in identifying the causes of injuries and accidents so that preventative actions may be taken to reduce or eliminate potential dangers. Part of this process is the reporting of all injuries or potential injuries on the incident report forms. An incident report form (Special Olympics First Report of Accident/ Incident) must be completed in its entirety for each occurrence of a physical accident or incident that may result in injury to an athlete, coach, volunteer, spectator or physical property damage. The incident report form is available from the area director or responsible SOTX staff person at all Special Olympics Texas functions, competitions or training activities. The incident report form must be reviewed and signed by a SOTX staff person verifying that the incident occurred as reported. The form is submitted to the area office and faxed to the SOTX insurance carrier. If you need assistance please contact Kathy McClain, Sr. V.P. of Shared Services, at 512.491-2933. Coverage is provided for fainting, heat stroke and exhaustion, and any accident where epilepsy or a seizure may be a contributing factor. Coverage is also provided for ambulance service. No medical indemnity shall be payable on account of expenses incurred for eyeglasses, including prescriptions thereof. With respect to dental care, the insurance company will pay the actual cost in excess of the deductible amount (if any), but not more than $10,000, incurred within one year from the date of accident for dental care required on account of injury to or loss of natural teeth resulting from such injuries, including replacement of such teeth, but excluding dental x-rays, provided the aggregate payment of medical, surgical and dental treatment required on account of all injuries resulting from one accident shall not exceed the maximum medical indemnity of $10,000. The insurance under this policy shall not apply: to the cost of medical or surgical treatment or nursing service rendered by any person employed or retained by the policy holder to any loss by (1) abdominal hernia, however caused; (2) bacterial infections (except pyrogenic infections that occur with and through an accidental cut or wound); (3) any form of disease; (4) war or any act of war, whether declared or not; (5) intentionally self-inflicted injury or suicide; (6) injuries covered under any worker’s compensation act or similar law. If medical treatment is necessary, please notify the appropriate area director as soon as possible. File all claims with the primary insurance carrier, the injured party’s regular insurance. During area, regional and Chapter events, the medical information for each athlete will be available at the site of competition. This information, attached to all entry forms, will facilitate the process of completing the incident report and will assist emergency personnel in providing the proper treatment. It is the coach’s responsibility to obtain this information from the event or meet director in case of an emergency.